A just-jam gift pack made and shipped by us from our organic farm-grown fruits. 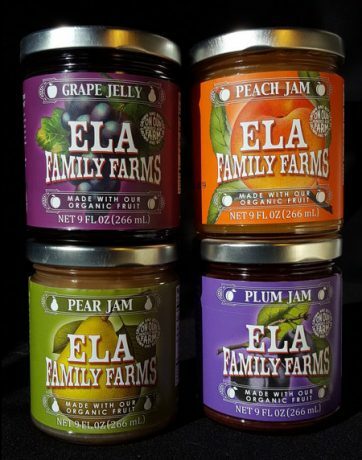 You will get four jars of our flavorful fruit. Every jam, jelly, and fruit butter is made entirely from the bounty of our farm. In this selection will be a variety of our season's best. We are happy to include a handwritten copy of your personal or business message for free. At checkout you can add the extra option for us to gift wrap too!